Homeowners can have a variety of goals and purposes when planning a home remodeling project. Many just want to make the space more comfortable and practical for their family. However, there is also often an interest in improve the home’s value or making it more attractive to buyers, if the current owners are planning to try and sell the property anytime in the near future. If that’s the case, an important goal is to try and pick projects that will pay off in the form of a higher selling price—in other words, you want to spend your money wisely in areas that will pay off at the time of sale. 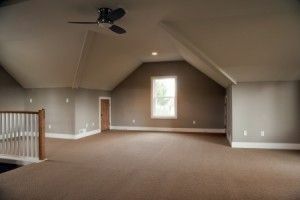 If recouping your investment is a top priority, articles like this one note that the best thing you can do from a financial standpoint is to finish an unfinished attic or basement. This can also be a great way to increase your living space without actually adjusting the footprint of your home’s exterior. You have many options when it comes to the specific sort of remodeling you do to these spaces. You can make them into a great mancave or game room, add an office or workspace or create a high-tech media center. Or you could create an in-law suite or separate apartment—which provides an attractive bonus in that it provides the potential for rental income. Whatever your goals or plans for your Arizona home remodeling project, RW Remodeling can help. We can also offer insight—based on our experience with the local market—as to which upgrades may be the smartest financial investments.